Move over millennials, they are no longer relevant. Generation Z is about to fill in the consumer market, so it is time to start catering for its demand. 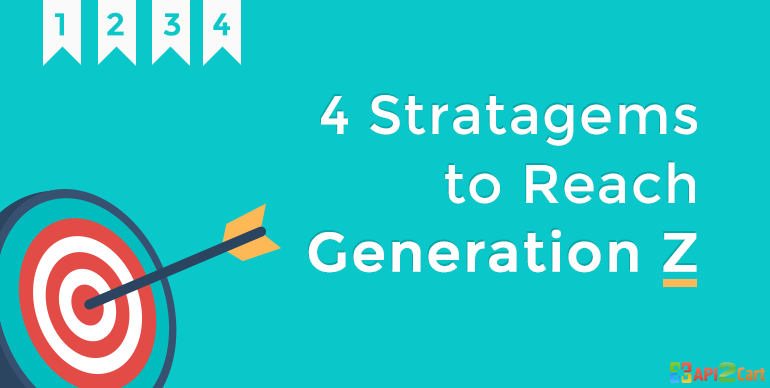 In only 4 years, by 2020, Gen Z is expected to comprise about 40 % of all consumers. Probably, customer experience will change considerably by that time. Venturers are looking for ways to understand and predict consumer behaviour of the rising generation, born into a digital world. How do they differ from millennials and what can we expect from them? Let’s take a closer look at their behaviors, habits, and attitudes as they relate to money and spending, brands and social media. Generation Z comprises the largest part of the global population. Its representatives born somewhere after the mid-1990s and are just becoming adults. The oldest of them just turned 21, they have never known the world without the Internet, smartphones and mp3 players, while millennials have become technologically savvy in a more conscious age. Gen Z has grown up with instant access to mountains of data on any topic they are interested in. They are used to being bombarded with pop-up ads, push notifications, instant messages, tens of ads on the sites. This resulted in shorter attention spans, as compared to the people from former generations. It may seem that they have focus issues, but the truth is that they just grow used to sort through information quicker. In order to avoid information overload, Gen Z kids (and adults, as well) instantly assess whether this particular “something” worth their further attention or not. How to Project Customer Experience? Gen Z has a great spending power, as many of them are making money themselves, and what is more, they have a great influence on what their parents buy, especially in terms of food, technology, and entertainment. So how can you provide an excellent customer experience for the upcoming generation? Numerous surveys proved that younger generation prefers shopping online, rather than offline. Gen Z was grown up in a hectic pace of life, so they buy online as far as possible to save the time and efforts. Gen Z live in the virtual world far more than their millennial counterparts. So to stay on top, venturers (or marketers) should keep an eye on all popular among youngsters platforms and find a way to fit into those systems. Pay attention to the visual aspect of your product and things related to it. All kinds of deft images and visuals have a powerful effect on young people. Such things like emojis, videos, logos, pictures, illustrations make products more catchy and memorable. Exceptional popularity of social platform Instagram over the last few years proves that this younger generation values visual aspect a lot. Visual signal images also help to make the information more understandable and noticeable. That can reduce, for instance, the user confusion on the site. As mentioned above, Gen Z tends not to focus their attention for a long time, so try to be brief and learn how to deliver clear messages in a few words (or images). Understandably, many companies set their sights on becoming profitable, but to become a really respectable company in the world run by Gen Z, you will need to decide what do you stand for and build that into your business. This new generation is more willing to spend money within companies that contribute to higher purposes. Craft your company’s philosophy, make up a code of ethics and a mission statement. You can be a for-profit organization and still serve some charitable mission, become eco-friendly, or help your employees pay college tuition at the same time. Let your customers know what values your company stands for. Show that it is driven not by money only. While older generations remember using separate devices for calling, calculating, making photos/videos, listening to music etc., Gen Z grew up with all scope of functionality in one device - smartphone. They expect such capability from all products and systems, especially from those related to technology. Move your product and business model toward simplification of processes and integration of functions as far as possible to provide seamless customer experience. As to integrability, if you provide any sort of B2B e-Commerce service and want to enhance it through integration with multiple shopping platforms, try how it will work for your business or schedule a consultation with our expert.